Trawler. 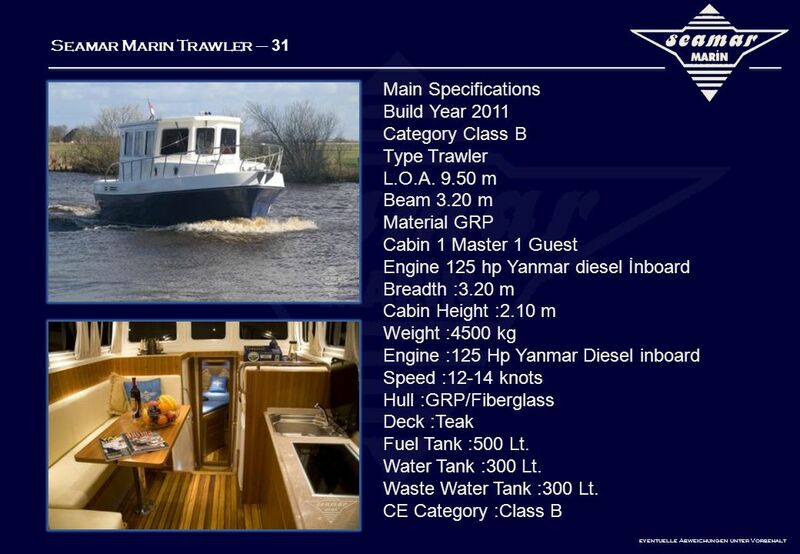 Seamar Marin Trawler – 31 Main Specifications Build Year 2011 Category Class B Type Trawler L.O.A. 9.50 m Beam 3.20 m Material GRP Cabin 1 Master. 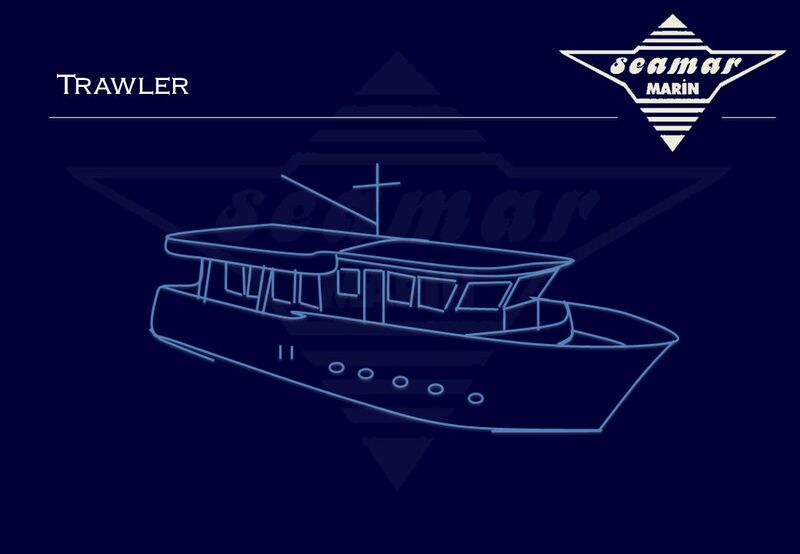 Download ppt "Trawler. 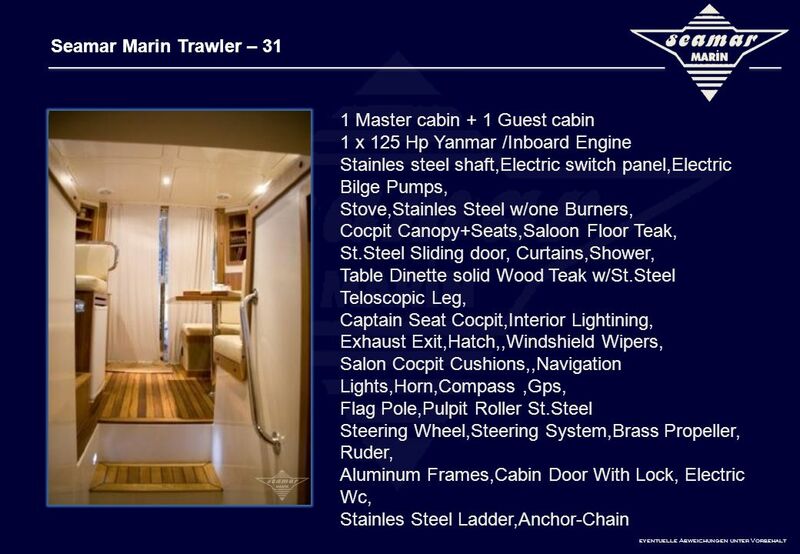 Seamar Marin Trawler – 31 Main Specifications Build Year 2011 Category Class B Type Trawler L.O.A. 9.50 m Beam 3.20 m Material GRP Cabin 1 Master." Fishing Boat. Seamar Marin Fisherman – 6.70 m Main Specifications Build Year 2011 Category Class C Type Fishing L.O.A Beam 2.30 Material GRP Cabin. Built Rite Industries Los angeles, CA & Savannah, GA Office Kit Presentation ©. Copyright of Built Rite Industries, LLC. 41UTB BOAT CHARACTERISTICS & CREW RESPONSIBILITIES. Keystone Coach Works, Inc Disaster Response Units DRU-1 & DRU-2. TRUCK COMPANY OPS Truck company operations are tasks that support the fire attack. Often called Support Functions The engine companies put the fire out. Mohawk II Damage report – aug Structural damages Bulb, fishing vessel approx. 10 knots Severe damage to hull from keel to reeling 7-8 ribs broken. MODELS 2010 EC New tank covers EC MODELS 2010. GE-final House of fun………... ROOF Solar power and wind powered house 4 wind intakes that transport collected wind into a wind turbine to produce electricity. SPC-LE SPEC’S NAV & PILOTING SPC-LE. 1200 South Dixie Hwy West * Pompano Bch, FL Phone: (954) * Toll Free: (800) * Fax: (954) GLAVAL TITAN II LF Low. Boating Skills And Seamanship 1 Copyright Coast Guard Auxiliary Association, Inc. Powering Your Boat Chapter 10. 500 400 300 200 100 500 400 300 200 100 500 400 300 200 100 500 400 300 200 100 500 400 300 200 100 500 400 300 200 100 SPC-LE SPEC’S NAV & PILOTING SPC-LE.